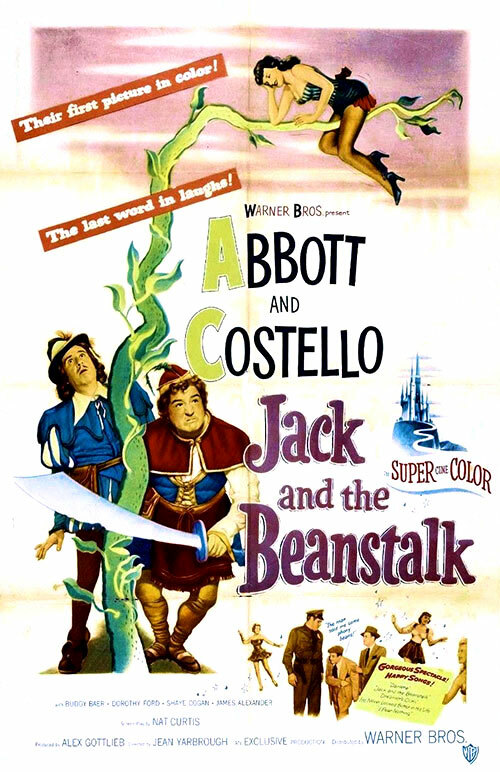 Jack (Lou Costello) and his "agent," Mr. Dinkel (Bud Abbott), are struggling to find work through an employment agency. They land a gig baby-sitting a troublesome boy named Donald (David Stollery). Trying to get the child to sleep, Jack reads him the fairy tale "Jack and the Beanstalk" which subsequently lulls Jack asleep, transporting him into the fantasy world of the storybook. There, he encounters magic beans, a giant and a princess in distress, among other things. 0 Response to "Jack and the Beanstalk (1952) Jean Yarbrough"